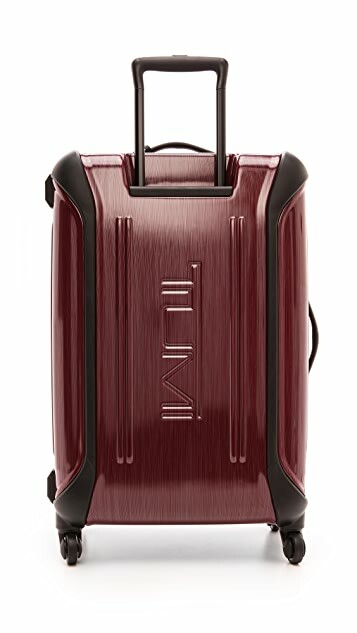 Polycarbonate plastic brings a durable, retro-inspired design to a spacious Tumi suitcase. 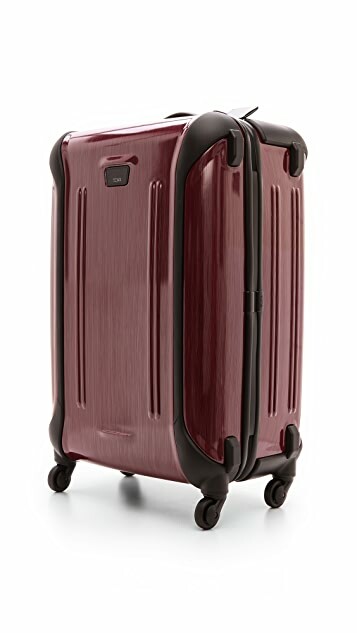 Slim wheels and a retractable handle provide quick transport, and the exterior features reinforced plastic corners. 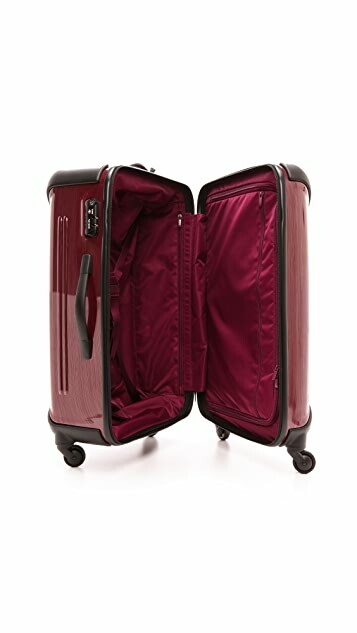 A TSA-approved lock fastens the two-way wraparound zip for added security. 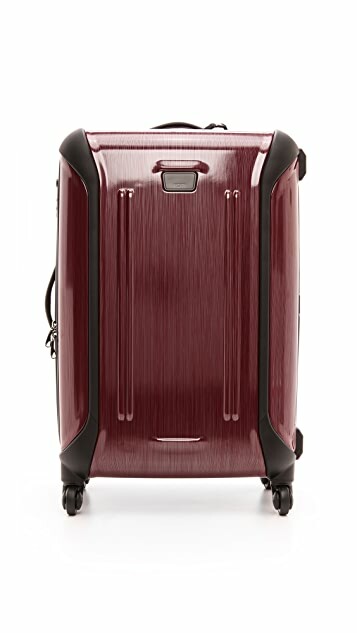 The nylon-lined interior features adjustable clothing straps, and a zip pocket trims the garment compartment flap. Top and side handles. ID tag included.